Crimes happen every day; but on a more positive note, security cameras are used to identify and arrest suspects in about half of these incidents. Indeed, the right choice of camera can be a great force against burglars. 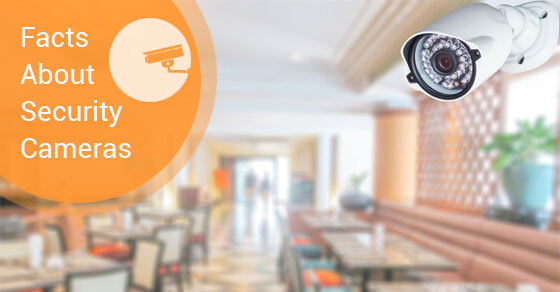 Besides helping to identify and arrest suspects, the mere sight of security cameras can be a great deterrent against intruders because they don’t want to get “caught in the act” or leave behind evidence. Families, homes, and businesses all need cameras for security purposes. When at home, you may need security cameras to monitor your baby, see who is at the front door, or identify the cause of a noise without moving; and when you’re away, you can use the cameras to check on your pet, babysitter, or kids, catch an intruder, or watch for suspicious behaviour around your home. The most basic security systems for homes comprise devices such as nanny cams and baby monitors, which offer both video and audio streams so you can monitor your children who are in the care of another or sleeping. These devices often connect to your smartphone via built-in Wi-Fi, and have motion detection capabilities so they only turn when they detect someone in the room. If you don’t want a camera that is constantly monitoring your home, you may want one that self-activates when it detects movement. Cameras with a memory buffer record a few seconds of video continuously so you know what happened before and after the motion sensor were triggered. If your outdoors is not well lit, you may need a camera with low-light imaging technology. Some cameras have very sensitive light-gathering image sensors (measured in lumens); the smaller the measure, the better the camera’s ability to see in the dark. If you need a night camera for imaging in complete darkness, consider getting one with infrared capability that can detect heat signatures from up to 150 feet away. For cameras that are constantly recording the events, there are multiple options for data storage including memory cards, hard drives, and the cloud. Depending on the size of your storage, you should remember to change out the recording media. They’re mostly used in well-lit areas to give you accurate details of the intruder, such as their clothing or vehicle colour. However, black-and-white cameras offer better low-light images at higher resolution, plus they are more affordable. Before you choose or buy a security camera, make sure you know the statutes that apply to recording images or conversations in your jurisdiction, as your security may be seen as a violation of privacy by another.